Notice! Mediterra Art Otel does not accept reservations at this time. Please try again later. Mediterra Art Otel Contact. Mediterra Art Hotel, located in the city center of Antalya, Kaleiçi, consists of 5 buildings restored according to Ottoman architecture. Tesiste has ancient fireplaces, hand-made doors and wardrobes. There are 33 rooms including 20 standard, 11 deluxe, 1 junior and 1 suite. In all rooms; air conditioning, minibar, television, hair dryer and telephone. In addition, laundry, wireless internet, parking, outdoor swimming pool, open-air restaurant. Bed and breakfast and half-board concierge services serving the morning, breakfast and dinner buffet is offered as an open buffet. 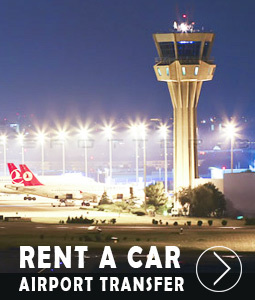 The facility is located 16 km from Antalya Airport and 7 km from the bus station. In addition, the facility is located 300 m from Mermerli Beach, 3 km from Konyaaltı Beach and 10 km from Lara Beach. Mediterra Art Otel accepts VISA and reserves the right to temporarily hold an amount prior to arrival. 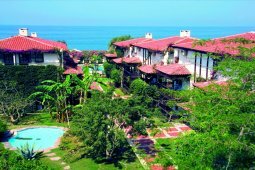 Mediterra Art Otel accepts Master Card and reserves the right to temporarily hold an amount prior to arrival. Mediterra Art Otel accepts Maestro and reserves the right to temporarily hold an amount prior to arrival. Mediterra Art Otel accepts Bank card and reserves the right to temporarily hold an amount prior to arrival. Half-board accommodation; except for morning breakfast and dinner. All beverages at the facility are charged. Bed and breakfast accommodation; except for breakfast in the morning, food is charged. All beverages at the facility are charged. A la carte restaurant, booked and paid. Access to the facility rooms starts at 14.00. The departure time from the rooms is no later than 12.00. Pets are not allowed. The use of outdoor open spaces is subject to seasonal conditions. Tesiste, half-board accommodation starts with dinner, includes dinner until the number of nights you stay and ends with breakfast on the day of departure. Bed and breakfast accommodation ends with breakfast on the morning of check-out day. Nice hotel for two or three nights to stay. Close to the beach and in center of old town, called Kaleiçi. It's beautiful outside, but inside is very old and smells. The staff wasn't very friendly. The internet is terrible: slow and unstable. It's cheap. Room decoration, fruit plates and wine are offered free of charge.